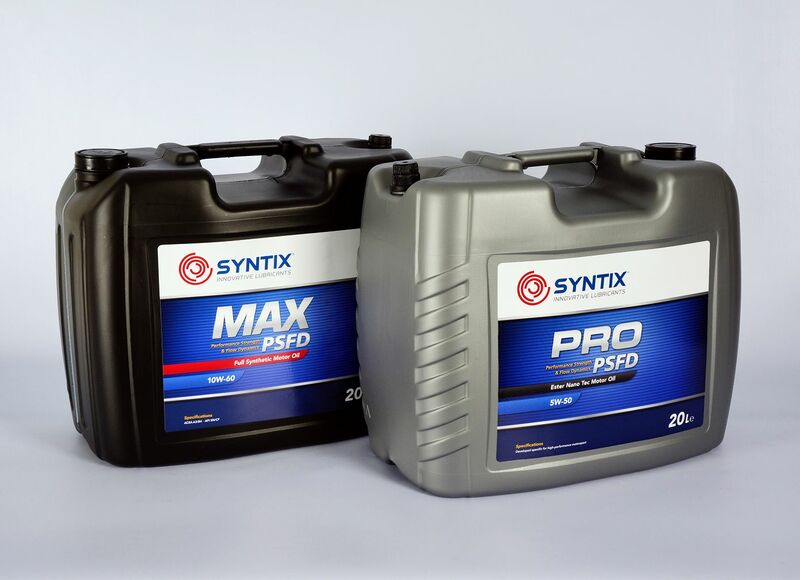 SYNTIX Lubricants also delivers 20 liter cans, ideal for raceteams and service garages! These new 20 liter cans offer an ideal alternative between the well-known 5 liter cans and the 60 liter drums. Thanks to its sturdy design the 20 liters are easy to handle and transport. Making the 20 liter pack ideal for track weekends of racing enthusiasts. For the servicing stations and garages this pack is also very popular. The increasing diversity of oil types demanded by car fabricators quickly require a garage shop to stock several different oil types. Such a stock in 60 liter drums immediatly requires a lot of space in the workshop itself. This 20 liter pack can be stacked! In the same space you need for one 60 liter drum, you can now stock 3 different types of oil.